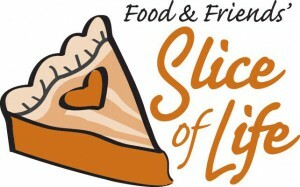 Food & Friends, an organization dedicated to assisting with the nutritional needs of those living with HIV/AIDS and other challenging illnesses, will be holding its 8th annual Slice of Life fundraiser this Thanksgiving. Local residents will be able to order pre-made pies online, then pick them up at one of 37 designated CVS stores throughout the DC Metro area on Tuesday, November 25th. The pies are available in five different flavors, and the costs range from $25 to $45 per pie. The proceeds from this fundraiser will go to the Food & Friends organization, helping them deliver meals to those fighting life threatening diseases. Food & Friends has provided meals to over 3,000 people per year since their beginning in 1988. For more information on how you can help out and to purchase pies online, go to http://www.foodandfriends.org/pie.